Its been all over the internet, appearing on both teased image renders and video teasers, the Innjoo Max 3 it is called. We’ve got news that the flagship device from Innjoo will officially pop on August 1 in Nigeria. Just to wet your appetite, the specs of the device has been leaked and it promises to be a popular one with the amazing specs it packs under its hood, and the classic beautiful design it wears. 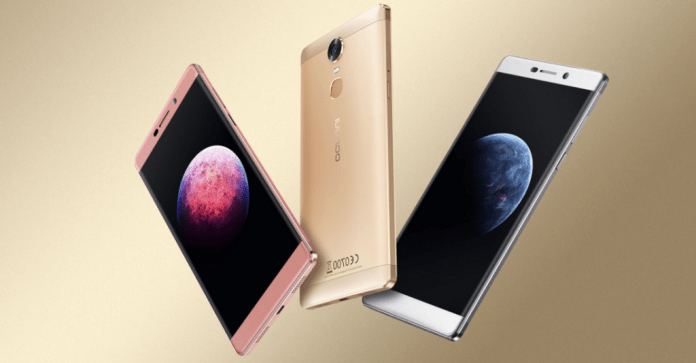 The Innjoo Max 3 has already been listed on Innjoo’s official webpage, displaying some catchy, cool pictures of the smartphone. The specifications are also listed over there for your perusal but we’ve got it already down here, with our independent analysis. Innjoo refers to the Max 3 as a rebirth of the Innjoo Max 2 and if you know the Max 2, you’ll know why they say so. The Innjoo Max 3 sports a massive 6-inch HD IPS display with a rather small 720p resolution but despite the size, there’s a 2.5D glass cover to protect the phablet from scratch. The Max 3 will be powered by a quad-core MediaTek MT6735 processor and is equipped with 1GB of RAM and another option with 2GB RAM. That means there are going to be two versions of the Innjoo Max 3. Still on the memory, the Max 3 packs 16GB of built-in storage with option of expansion up to 128GB. There’s a fingerprint sensor at the back which is reputed to unlock the device in 0.35seconds but the location might pose some difficulty accessing especially on one hand operation. The Innjoo Max 3 sooths the camera freaks quite well with a large 13MP rear facing camera with LED flash and an 8MP front facing shooter for the selfie lovers, ain’t we all? The 6-incher runs on Android 5.1 Lollipop out-of-the-box, which is a surprise fixture for a flagship device, when others are heading towards Android 7! But then, Innjoo is known for affordable flagships, so the price might calm our disappointments. Quite gladly, the Innjoo Max 3 crams a gigantic 4000mAh battery under its hood and supports both 3G and 4G LTE networks. There are also a host of connectivity options available on the device which come in Gold, Rose Gold and Grey color variants. Innjoo is yet to reveal the price of the Max 3 but as hinted earlier, InnJoo Max 3 will be officially unveiled on August 1 and by then the price will be revealed. You can pre-order for the device though via www.innjoo.com/activity/max3 and when the device goes official, you’ll be the first to know. How much is that phone?